Your cat is a catnip fanatic. You just have to take out a bottle of the stuff, and he’s at your feet purring and begging. Sure, you could buy your catnip (remember — the fresher, the better). 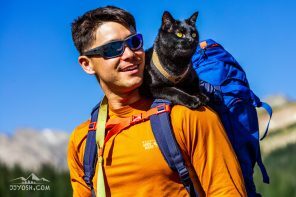 But your cat is an Adventure Cat, and this is a call for adventure: You can go forage for your own catnip. 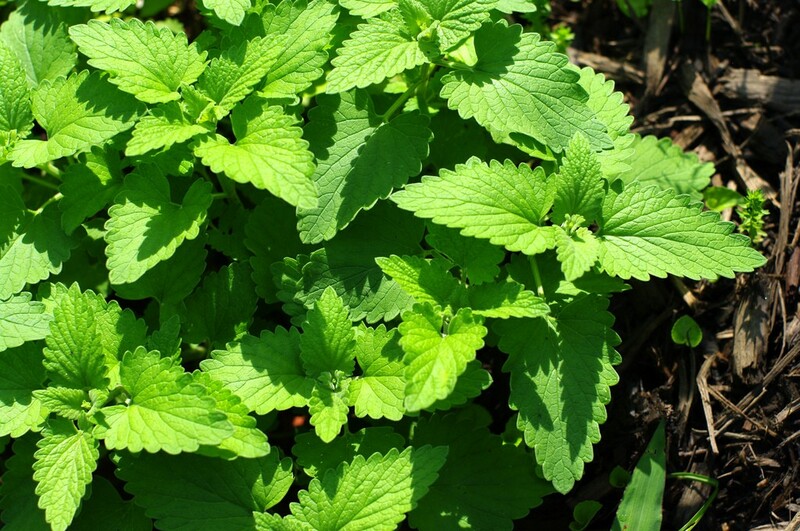 Catnip is a member of the mint family, and like many other mints, it grows and spreads like a weed. That means you can likely pick some without worry — chances are, no one will miss it. Even better, catnip plants will continue to grow back if you leave the roots intact, so clip the plants just above the ground and you’ll be able to keep coming back to your own little patch of wild catnip. Only forage in areas you know have not been treated with herbicides or pesticides. Don’t pick anything on protected land or private property even if it is just a weed. Or simply ask for permission first. Don’t let your cat eat anything until you’re absolutely sure you’ve found the right plant. With that out of the way, let’s head out! Catnip grows all year long and is not picky about the kind of soil it grows in. In fact, you’ll often find it thriving in poor soil conditions. 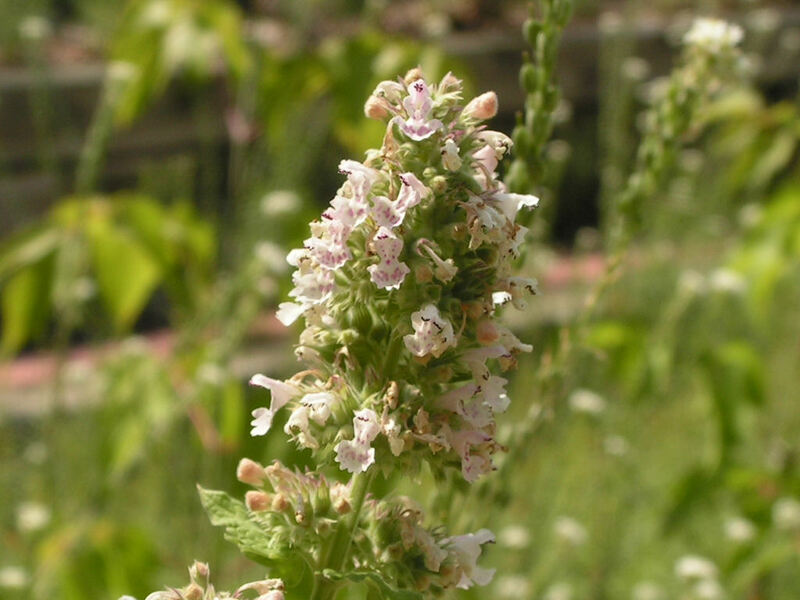 Catnip loves sandy or gravelly soil and full sunlight, so look for it in places such as railroad tracks, around open meadows and fields, along fences and old houses, near streams, and in other areas you’d expect to find weeds. There are several species of catnip, but they all share characteristics and differ mainly in the color of the flowers. Catnip is grayish-green and can grow up to three feet tall. Look for jagged, heart-shaped leaves and thick stems that are both covered in fuzzy hairs. 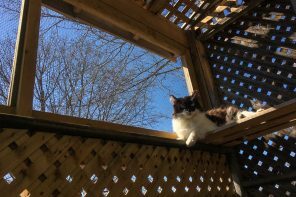 Your cat will probably react to the catnip before you do — wild catnip tends to be more potent than the kind you can buy from farms. Before you let your cat go to town on the plants, you can do one final thing to make sure you’ve got the right herb. Smell it! Pinch off a leaf and give it a sniff. 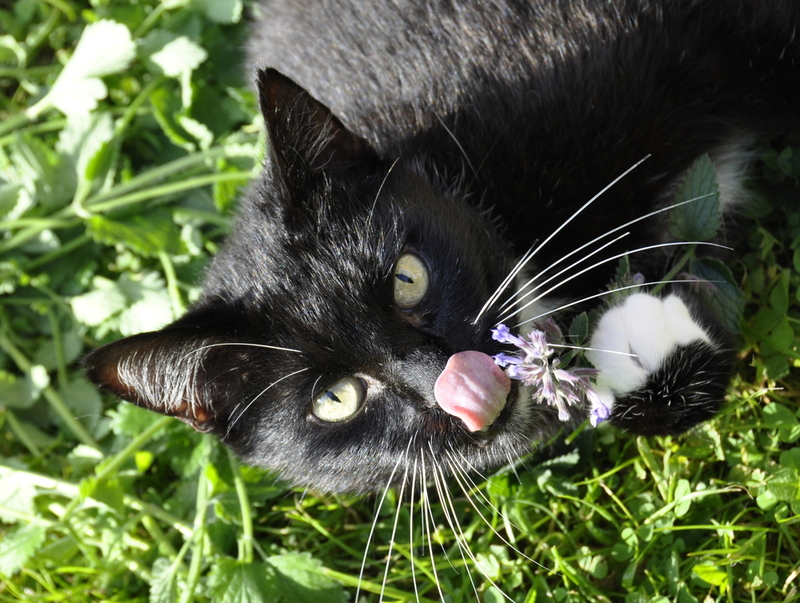 If it smells minty, you’ve found catnip. You’ve found catnip. Now what? Catnip has a more potent effect the fresher it is — that’s why catnip-filled toys run out of oomph in the open air so quickly. You and your cat can set up camp and enjoy the plants right there in the fields. If you plan to take some home with you, remember to cut the stem instead of pulling out the roots. You can also dry out the catnip for later use by hanging it upside down in a dry, shaded place for a week or two. “If it smells minty, you’ve found catnip.” Sorry, that isn’t a very reliable test at all. The flowers and general form of this plant are loosely similar to its relatives, which include most of the European culinary herbs – basil, oregano, thyme, etc. Some closely related species don’t smell, but many are quite aromatic, and catnip doesn’t smell any more “minty” than the rest of them. The smell test should be pretty reliable, though, if performed by a cat. I think I’ve found wild catnip in my backyard of all places, but the leaves on this catnip look slightly rounder and even more heart-shaped than the ones I planted. Neither catnip is flowering yet, so it’s really hard to tell. Are there any plants that look dangerously close to catnip and have the same features? I have two “weeds” in my yard, one I know for sure is catnip because i planted it, the other has the same purple flowers but different leaves and it’s taking over my yard, but it also smells like catnip and my cat wanted it just as bad as the “real” catnip. Any idea what this other plant might be?